Recent studies highlighted the beneficial action of cinnamon on postprandial glycemia and LDL-cholesterol concentrations, both in healthy subjects and type 2 diabetic patients. Inclusion of 3 to 6 g of cinnamon in diet revealed a beneficial effect on glucose metabolism control in non-diabetic adults during postprandial period. Given the levels of toxic elements present in cinnamon species from different countries, such large daily intakes of cinnamon can easily exceed their maximum permissible limits and, consequently, induce adverse health effects. 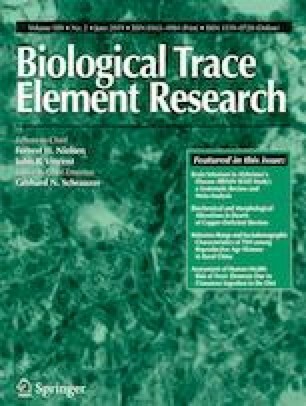 This study aimed to investigate the elemental concentration profile in cinnamon powder products available in the Portuguese market and to assess the cumulative non-carcinogenic risk to human health due to the exposure to mixtures of such elements through the inclusion of 6 g of cinnamon in diet. 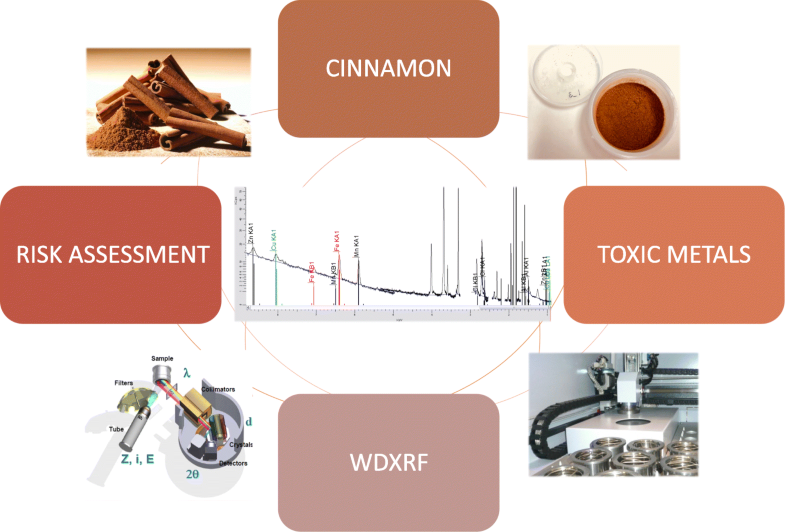 Concentrations of Cu, Zn, Fe, Al, Cl, Mn, and Sr were determined by wavelength dispersive X-ray fluorescence spectroscopy in different lots of eight branded and one bulk cinnamon powder products. Linear mixed models have revealed significant differences in concentrations of Zn, Fe, Al, and Cl between brands. In particular, bulk cinnamon samples presented the highest contents of Fe (475.0–490.0 mg kg−1) and Al (1139.0–1336.0 mg kg−1). The non-carcinogenic risk was assessed following EPA’s guidelines through the hazard quotient (HQ). Estimated HQ values were lower than the USEPA guideline of 1. Additionally, the hazard index (HI), representing the combined non-carcinogenic effects of all toxic elements, revealed no potential human health risk for heavy consumers of cinnamon (HI = 0.660). • Cinnamon powder brands available in Portuguese market showed differences in trace element concentrations. • Bulk cinnamon samples presented the highest contents of Al and Fe. • HQ and HI were lower than 1, indicating that the estimated dietary intake of Cu, Zn, Fe, Al, Cl, Mn, and Sr from daily consumption of 6 g of cinnamon does not present non-carcinogenic risks to consumers’ health. Financial support was received from Egas Moniz Cooperativa de Ensino Superior, CRL.